It seems that not a lot of people have tried these lipsticks, so I’ll do swatches of them here and provide some information about this fabulous lipstick. One of my tubes (Venetian Rose RS711, on the right) is a slightly purpley toned gunmetal colour – I’m not sure why it’s different than the rest, it might have been a limited edition release. The first one I got was Fleur, which I purchased during the summer a few years ago. It’s a peachy coral shade that is easy to throw on. They are, aren’t they? Ugh I just kick myself for not using these more often! Can anyone tell me if Shiseido RS711 Venetian Rose Perfect Rouge has been discontinued? I can’t find it anywhere in store or online. I’ve used it for a couple of years and it’s perfect for me. I keep getting vague answers at my local Shiseido counter. I haven’t been able to source it for about 3 months. Hi Lisa, sadly, the whole line of Perfect Rouge lipsticks are being phased out by Shiseido. My Venetian Rose outer tube colour was different than the rest, so I suspect it was even a limited edition shade. The Shiseido replacement lipstick line is called “Rouge Rouge” and I’ve heard good things about that formula. You may have luck finding a similar shade in the Rouge Rouge line – based on online swatches, the shades “RD714 Sweet Desire” or RD715 Rose Crush might be similar. Oh gosh I hate when that happens (mstly at Winners), too! AARGH. That happened to me more recently with a Clarins eyeshadow quartet – and I hadn’t even USED mine yet. BLAAAARGH. Anyway, I only have one of these Shiseidos, in Simmering Red, and it’s super nice. I think it’s just the color selection that prevents me from getting more. I tried out Dragon but it’s not deep enough for me. I do like the look of Harmony, though! Boo about the still unused Clarins eye shadow palette! I’ve seen soooo many limited edition Ann Sui and Shiseido stuff at Winners that I rushed out to buy when they first launched, for fear of them selling out. Gah. I saw these at Winners a couple of weeks ago too! Unfortunately couldn’t see the shade(s), so I didn’t pick them up. These lipsticks definitely need more love on the internet. I only own sample sizes from the gifts with purchases and not full sizes, but the formulation and pigmentation on these are so awesome. Pink Mesa looks super pretty! You should take the locked up containers over to the jewellery counter and ask them to open them up for you to check out the colours! It’s a bit of a hassle but at least people aren’t sticking their fingers in the products! Pink Mesa is really similar to MAC’s Twig – I was surprised when I did the comparison a couple of weeks ago. I much prefer the formula of the Shiseido though. I’ll do that next time! It kills me to see every package of makeup opened at Winners haha. You’re right, the formulation of the Sheseido lipsticks is one of the best out there! Well isn’t that a coincidence? 😉 mac twig is my all time FAVE ! Very much so! They all like like lovely rose shades and variations on pink that would look good on everyone. Pink Mesa is GORGEOUS! I think I’ll try this at our counter at work next time I’m there! Pink Mesa is gorgeous! It’s similar to MAC Twig! I highly recommend this lipstick formula. OMG that looks great! I will put that on my wish list too! Aww man..this post reminds me of the Shiseido Perfect Rouge lipstick I had and loved but have misplaced 😦 It was a sheer pink shade and I would wear it everyday. I would happily buy a few more though..those shades look gorgeous. and $12.99 is an absolute bargain! Aw I hate losing makeup items! Maybe you can look online to see if you can get a good deal on these? Unfortunately I paid full price for mine – I hope I see them again at Winners once my No-Buy is over next year. The one I have is Perfect Rouge in PK410. I think the shade is called either Tender Sheer or Satin. Getting conflicting results from a quick Google search. Pretty certain this shade has been discontinued which is a shame..it was very sheer and pretty. It’s a super pretty colour it just doesn’t last very long. I am really into nudes right now so Pink Mesa looks really appealing to me! Pink Mesa seems to be the popular one based on everyone’s responses – it’s a great everyday shade for sure! Yes I see Shiseido eye shadows at Winners all the time and people have ruined them – very sad! Hopefully you find these at Winners and get them at discount… don’t pay full price like I did! Thanks for the heads-up. hun! I’ll probably go this weekend if I’m strong enough. . Very pretty colors! I have one of their glosses and I really like it. I won a Shiseido set in the Spring and its the only product I liked to be honest. Oooh what other Shiseido goodies did you win? 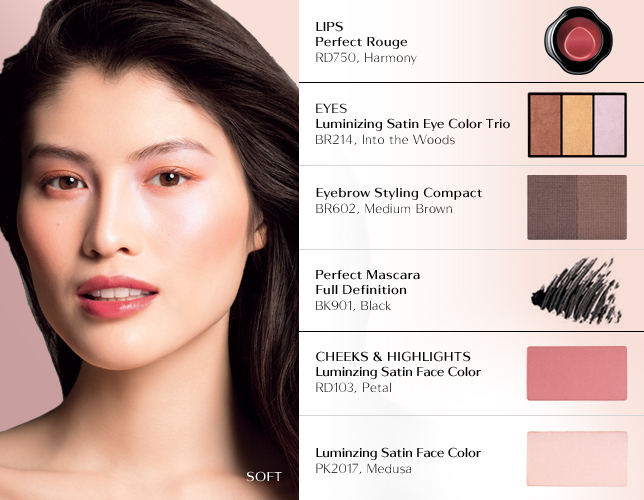 I like a lot of Shiseido makeup for some reason, they just seem to agree with me. I hope you find it! 😀 I think Shiseido is pretty much available at most department stores… but check your TJMaxx (it’s the same as Winners) to see if they have them there at discount. Why don’t we have Winners in the U.S.? I can find no equivalent!! Winners is TJMaxx! They renamed them for Canada for some reason. But oddly enough we also have Marshalls. All the same company! Sure at TJMaxx they sell high end makeup at discounted prices? WHAT KIND OF WINNERS DO YOU ALL HAVE OUT THERE!?!?! Maybe my Winners is just crap…Half the things you and fivezero say you get at Winners is non-existent here haha. Well I figured the Winners distribution center must be somewhere in Ontario and they decided to keep all the good stuff here and ship crap out your way LOL LOL! The Shiseido lipstick line is full of wearable colours – literally I could have closed my eyes and picked a colour and I’d wear it. Yeeah really, we get the blah leftovers…inequality. Unjust. Why someone please franchise a “Winners” here?! Darn if that happends! So now I just realized having a no sale just suits a once impulsive buyer like me. Or I’ll might die of regret. Now, I just have to check by Dragon isnt too good for Chris. Winners is the Canadian name for TJMaxx / Marshalls. It’s weird they changed the name of Winners but we also have Marshalls here. Do you have TJMaxx? In the UK they’re know as TKMaxx… no clue why the change from J to K, lol. Dragon is a beautiful deep red that many bloggers went crazy for! It’s very sophisticated. Oooh you got Luminoso! How do you like it? 😀 Glad to be enabling your purchases heheh. I only like to recommend things that I love so I hope you like it! The ones I saw were in those lock up cases so they should be good. But in general, I don’t buy lipsticks or mascaras from Winners because I don’t know if they’re expired. Too bad about Fleur! Maybe try to find it online? What shades do you have? I’m traveLing abroad next month, so I’m going to try my Luck Fleur-hunting. Right now I have Sublime, Tiger OR 544, and Day Lily OR418 (the case is aLso purpLy, not bLack). Yes definitely try one if you see them on sale. Worth it! Yikes …… u know what i am doing with this …. Those two are favourites of mine especially for this time of the year! Sadly, I don’t think Pink Mesa is still available but Venetian Rose certainly is! Venetian Rose was my #1 pick for sure! But I’ll see what new shades they released so I can get a couple. So excited. EEEKKK!